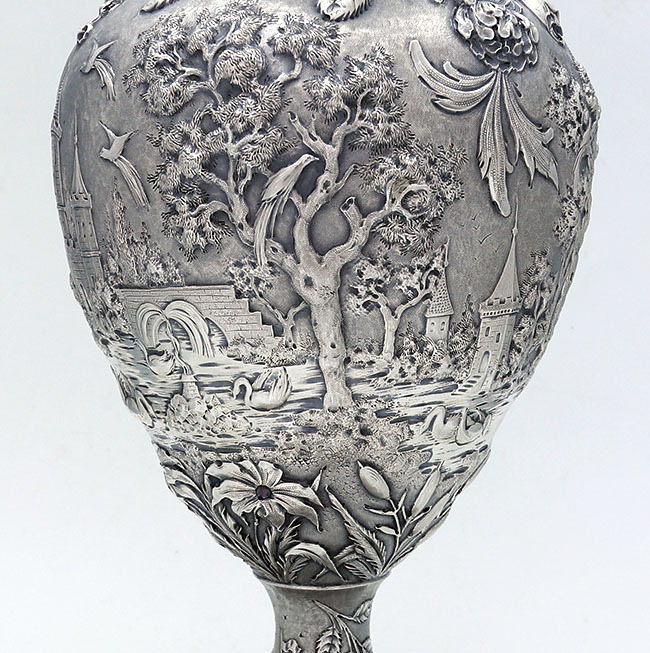 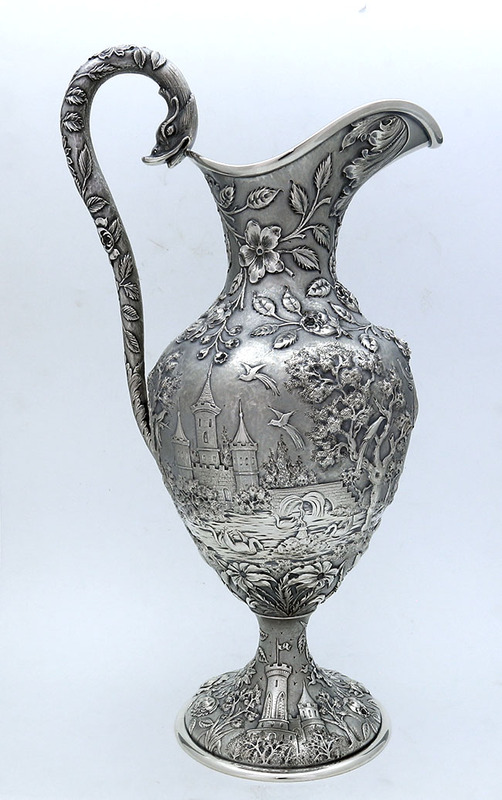 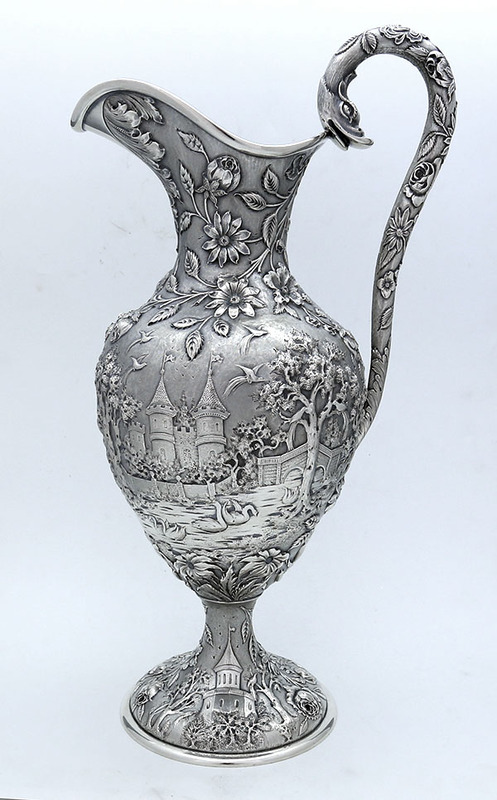 A superbly hand chased tall antique sterling silver ewer by Loring Andrews with castles and lakes contrasted in different techniques used in the manufacture. 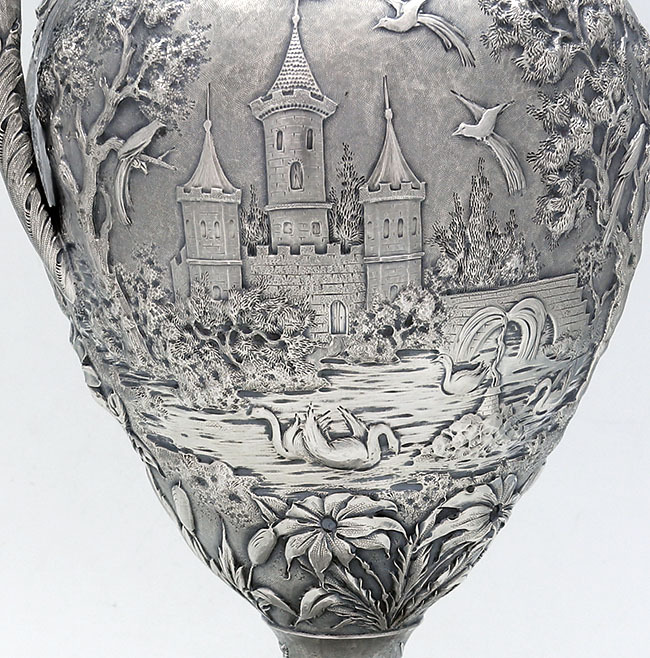 There are swans chased on the water as well as birds in flight. 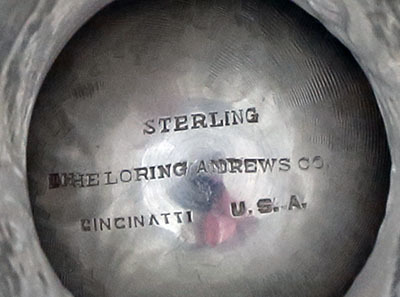 The condition is quite pristine and there is a 1912 inscription on the edge of the base. 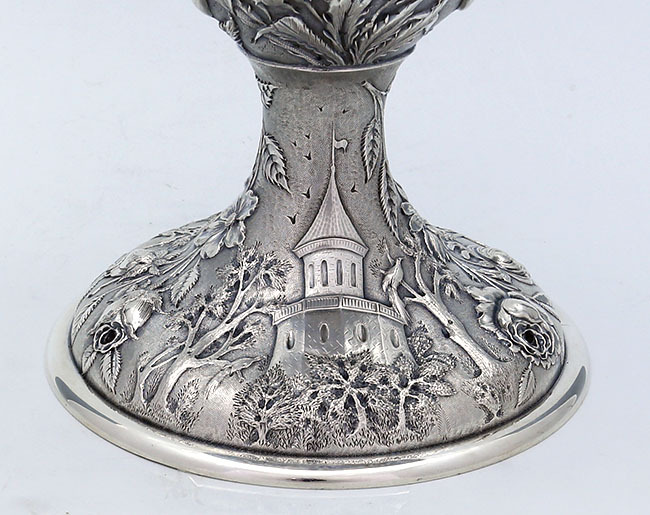 Unusual castle chasing on the base also.